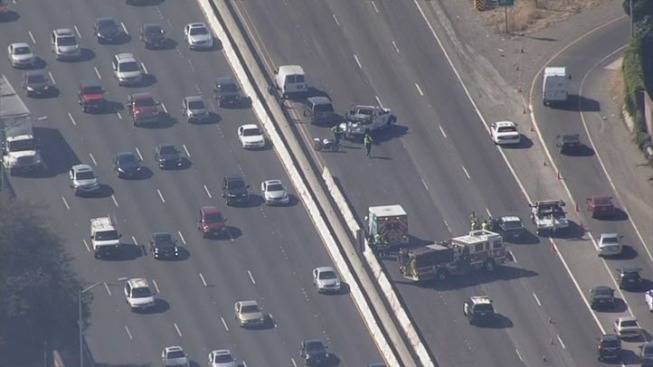 All lanes of Interstate Highway 880 in San Leandro have reopened Tuesday evening after a fatal collision involving a motorcyclist and an SUV closed the roadway for roughly two hours, according to the California Highway Patrol. The crash was reported on northbound Highway 880 just south of Davis Street at 4:05 p.m.
All lanes of traffic were blocked, and the CHP issued a Sig-alert at 4:14 p.m. The roadway has reopened and the Sig-alert was cancelled at 6:14 p.m. Motorists can expect residual delays, however.